The holidays are in full swing around here and this weekend was pretty much awesome. We got our Christmas tree, hung our lights, made eggnog mug cakes annddddd I got the Christmas cards ordered. Boom! Every year it seems like I am always doing everything at the very last minute so the fact that so much is done makes me want to shout it from a rooftop :) And if you have not done any of this yet then I probably sound super annoying right about now haha. 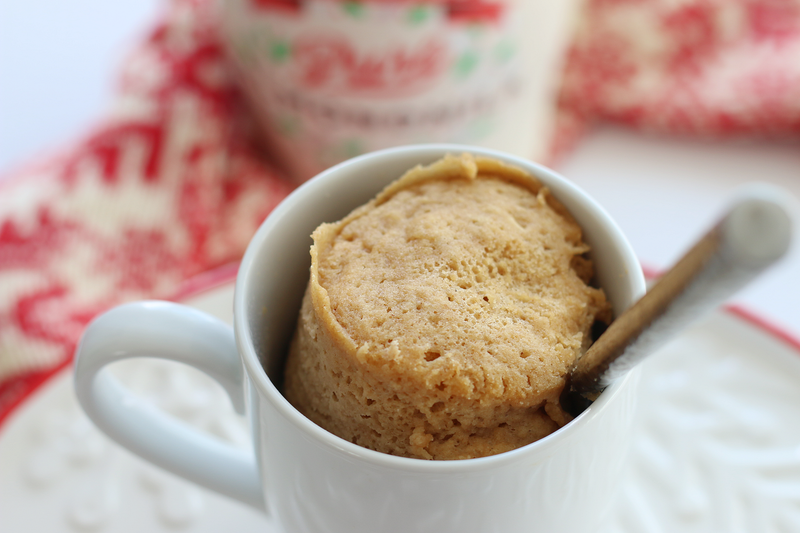 Anywhoo this mug cake is by far the most moist and spongy creation that I have made to date (as far as mug cakes go). 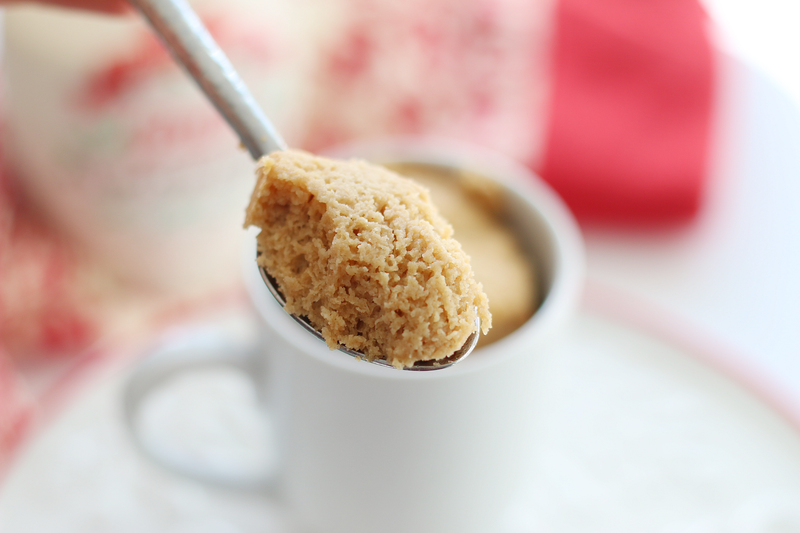 Mix all of the ingredients together in a microwave safe mug. This is unbelievably good and it's basically like a Christmas party in your mouth. You must make it! Cant wait to try this! 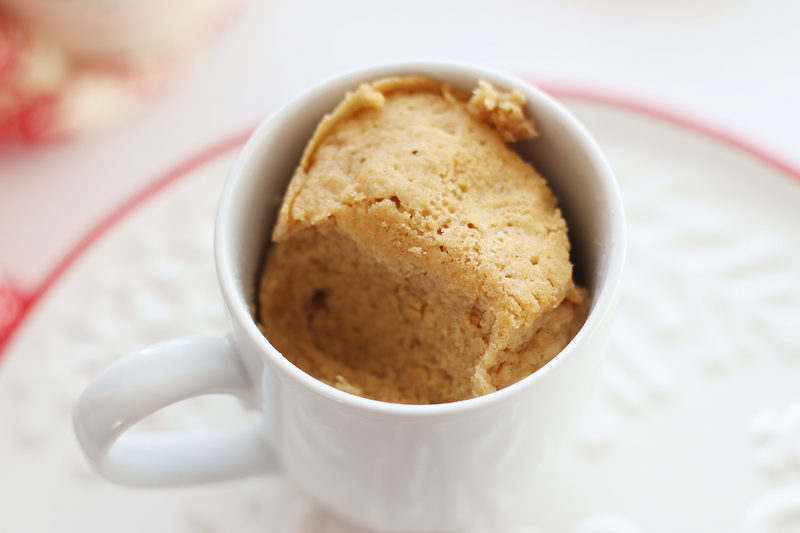 I have loved every single mug cake recipe that I have tried from you. Just made this OMG SO GOOD!!!!!! I don't even eat Paleo and this was the best little treat ever! Thank you! This looks so good! I see you make quite a few mug cakes. Such a great way to have a little treat. I will definitely have to try this since I LOVE eggnog. Paleo makes it that much better. Thanks for the recipe! What an awesome idea!! I love egg nog... and with a single portion cake at that. Total win! 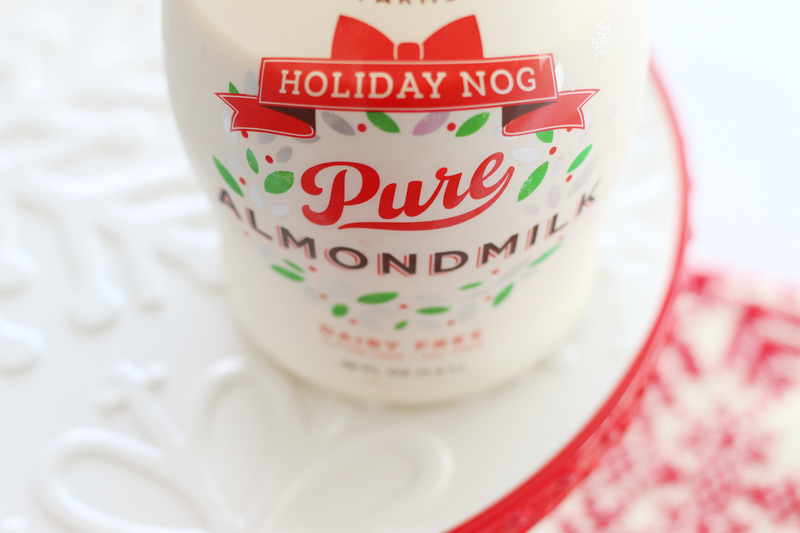 Where did you pick up the dairy free eggnog? I love mug cakes...perfect portion control! I will be trying this one soon for sure. 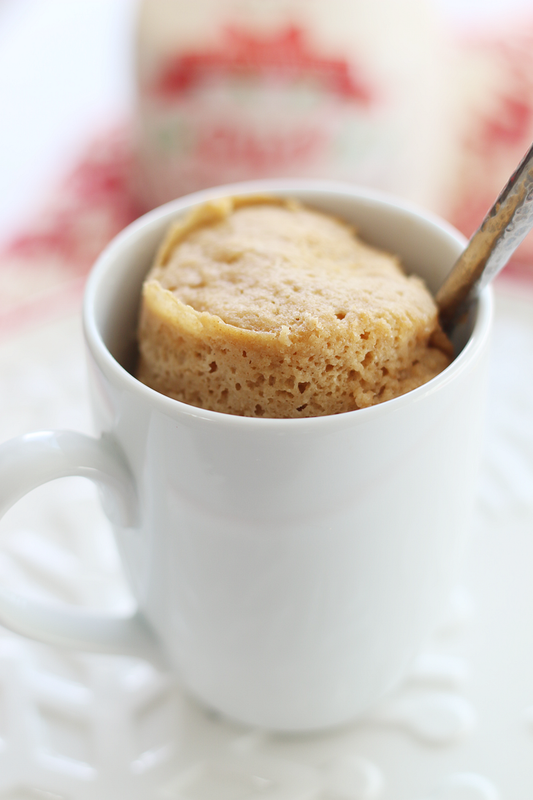 Thanks for your fun mug cake recipes! I am one of those people who are wary about microwaves, so I tried out another cooking method- steaming! It worked great, nice and fluffy. I made the batter then steamed it in a small bowl propped up inside of a stockpot for 15 minutes. It was very moist when it first came out but the steam dissipated once it cooled a little. Yum!